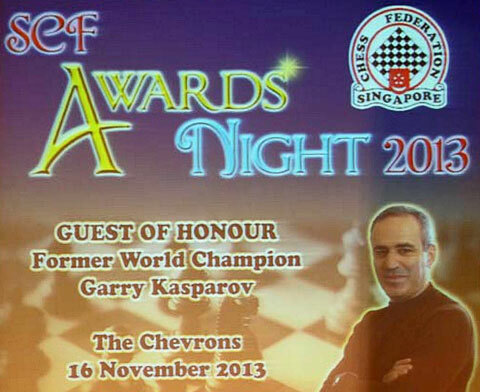 The legendary former World Chess Champion Garry Kasparov was the guest of honour at the Singapore Chess Federation Awards Night. Kasparov, a candidate to become the president of FIDE (World Chess Federation), was on his second stop on his first tour of Asian countries that have pledged their support to the charismatic Russian, who is based in New York, USA. The grandmaster was a major draw, helping raise funds via the auction of his acclaimed book series “My Great Predecessors” and game collection “Garry Kasparov on Garry Kasparov”. 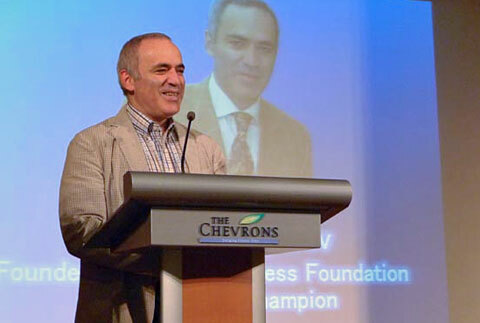 At his keynote address, Kasparov articulated a vision of chess that would bring Education up to the level of Sport in the focus of the World Chess Federation while at the same time ensuring that chess would duplicate the efforts of other sports in the adoption of interactive mobile technology that can fully engage and viewers and unite them into a global social network. He was not only the big attraction but also proved to again be a major fundraiser. Garry impressed all present with his ability to articulate a well thought-out vision that is completely doable while also game-changing for world chess. For Garry, teaching kids critical thinking skills is the greatest challenge facing governments, parents, and employers, and chess is a great tool to help educators in this mission. In the FIDE he hopes to lead, education will be one of the key strategic thrusts. It is not merely about chess in schools as a defined and formal program but chess as a means of contributing to child development and helping him or her reach their fullest potential. A second focus will be proving that chess can indeed compete for eyeballs and be attractive to the media. The answer is using interactive mobile technology displayed on the now-ubiquitous devices that provide a user engagement equal to if not better than what another sports experience on a larger screen. Ultimately Garry believes that the third and final component of this vision will be achieved by developing chess into a social network connecting the hundreds of millions of chessplayers globally. 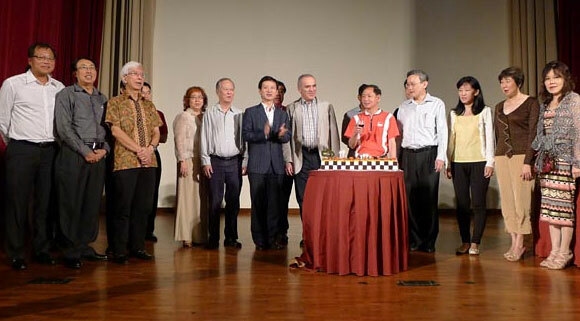 The dinner was also the occasion for the launch of the Kasparov Chess Foundation Asia-Pacific in Singapore, the fourth such center following the Kasparov Chess Foundation USA in New York, Kasparov Chess Foundation Europe in Brussels, and Kasparov Chess Foundation Africa in Johannesburg. 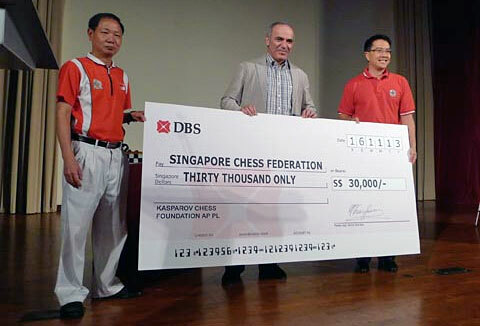 By the end of the dinner, a total of almost US $100,000 was raised for the Singapore Chess Federation’s budget for the next financial year from 1 April 2014.